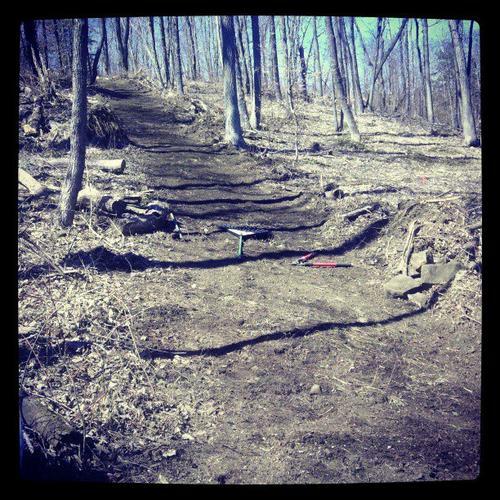 Discussion in 'Northeast' started by TrumbullHucker, Apr 7, 2013.
anyone at the trail build on the 6th? went with me and my other trumbull friend and met up with a bunch of uconn team riders. great day and an awesome turnout.. met alot of cool people! hopefully CT can have a lift acess DH soon! My buddy just moved to CT. Any updates on lift assisted DH there?